What seems to be a simple French wine is not. 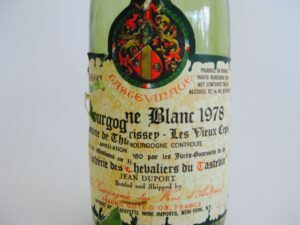 With 11-14% alcohol, as they recorded it long ago, cost $12 then, and scoring a nice 17 Dionysian points the 1978 Bourgogne Blanc is a Confrerie des Chevaliers du Tastevin numbered bottle that was sold at auction in Beaune for the Knights of Burgundy charity. Great white Burgundy ages well. It had caramel and hints of honey. It wasn’t broken down at all. Oak and mineral flavors still sang out. And, it held together for well over an hour after opening. I savored the wine with veal toped with diced shrimp. Subtle herb notes were in this wine. 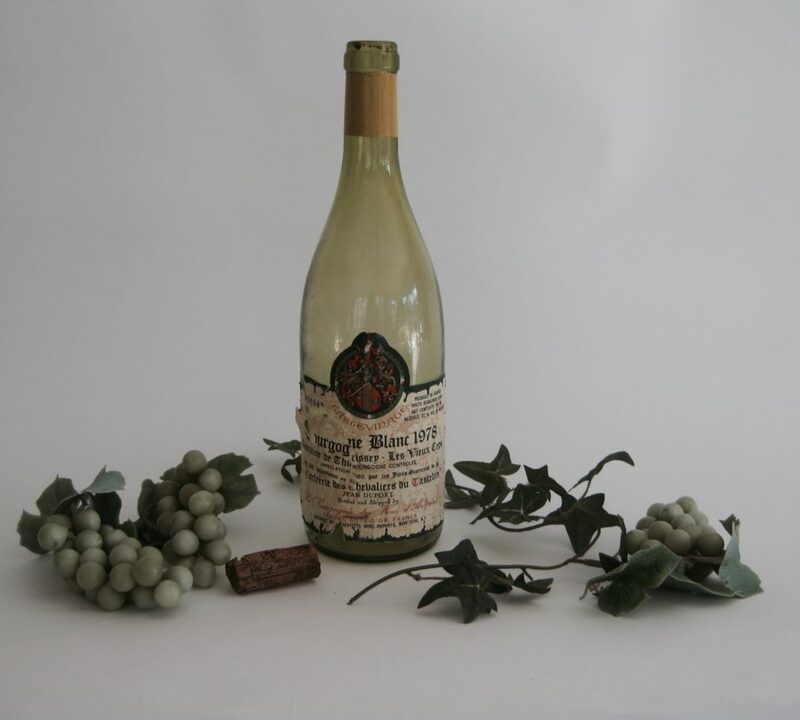 This deep gold Chardonnay, from Jean Duport, at 40 years old, was an historical experience. It proved once again that big alcohol does nothing for a wine that was meant to savor with meals. In Vino Veritas. There is nothing like a good white burgundy and love the proof that alcohol can be lower and still the wine ages well!! Wish I had been with you for this tasting. I recently had this morning with John . I agree it had a unique flavor one you don’t normally have in the younger Burgundies. Well balance with Carmel and hints of spices.